Happy Friday, my blessed naturals! I hope you all are having a great morning. 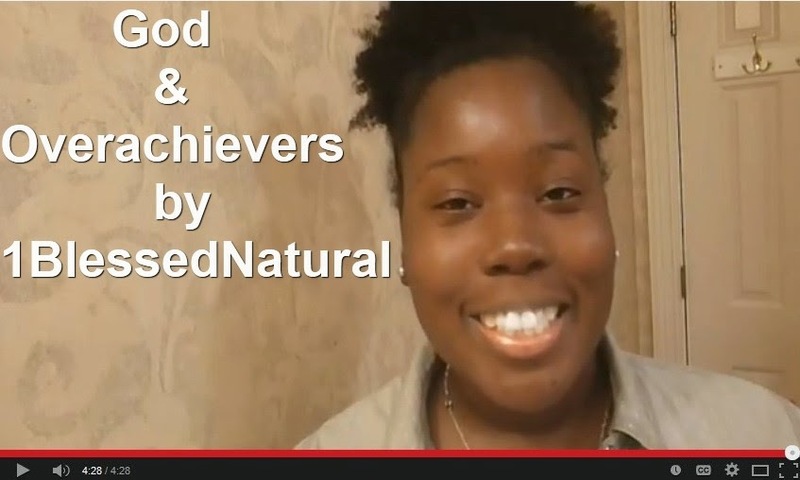 I posted a new video on my YouTube channel called God and Overachievers. If you or someone you know is an overachiever, you don't want to miss this! I pray that it blesses you. Check out the video below. If you cannot see the video below, please click the link.